I did not hear about his passing until a week ago…which was shocking because there are many people in my circle of friends and connections who worked with and knew Mr. Cottom well. He was 75. Leonard was one of the good guys. I moved up on Seven Devils back in October of 1990. I first lived on Devils Lake Drive and the moved across from the golf course in 1992. While I did my first skiing at Appalachian and Beech in 1988, I grew to really love Hawksnest Resort for both golf and skiing. I could be at the place in minutes and played golf 3-4 days a week during the warmer seasons and then I skied about every day during the winter. 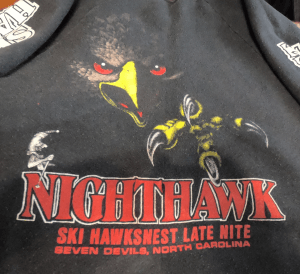 Hawksnest had a Nighthawk session that used to allow skiers and snowboarders to play until 4am on Friday and Saturday nights. They later shortened it to 2am and then midnight. However, during the early to mid 90s I was there about every Friday & Saturday night (early Sunday morning) until closing. Man those were some great times. It was during those early years at Hawksnest where I was fortunate to meet Leonard. During my first year or so on the mountain I heard that this flamboyant fellow from Florida had purchased the golf course. That was in 1991 and then only a year or so later he bought the ski resort (1992). He had retired to Beech Mountain after being an accountant in Ft. Pierce, Florida and later decided he wanted to purchase Hawksnest. We came to know each other pretty well, being a Seven Devils resident; from being at the resort often and because I was selling advertising at the time – and Mr. Cottom would rarely say “no” to me. Later, when I began to design websites, he allowed me to create the first Hawksnest-Resort.com. He was one of my first, handful of web design clients. 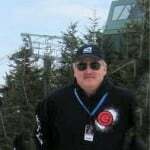 In fact, Hawksnest was the first ski resort to give me their business when I started SkiNC.com. 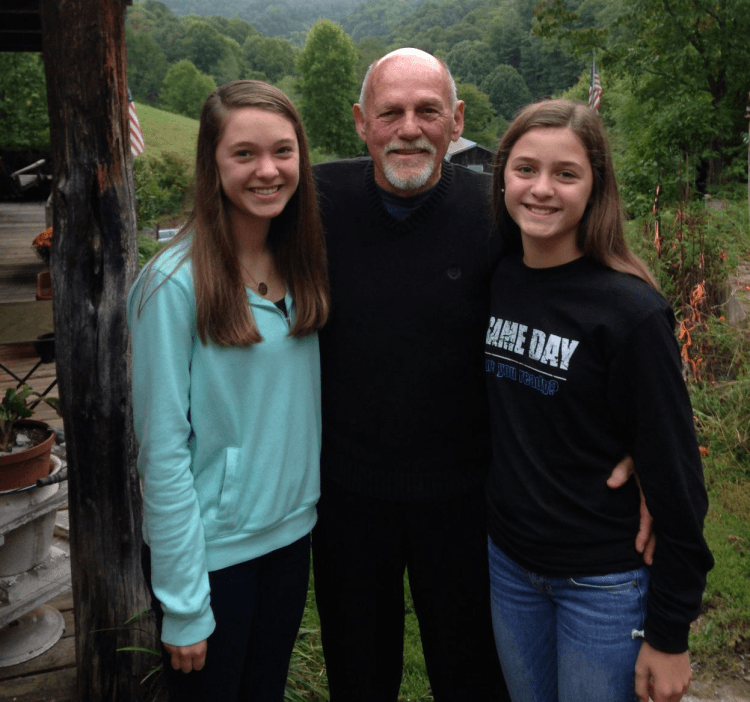 It was his influence and recognition that later prompted Beech Mountain Chamber and Ski Beech to give me their business. So Leonard certainly played a role in my early success. I was fortunate enough to be able to play more than a few rounds of golf with Mr. Cottom and that can often tell you more about a man than anything else. Not only was he a good golfer, he was gracious to me…as I was not that good. Shortly after, I met Lenny and Vance (Leonard’s sons) and have had life-long friendships with both. Both of his sons were active in working at both the golf and ski operations. Lenny once shared that the ski area and the golf course were both having financial difficulties when the purchases were made, but Cottom managed to keep the business solvent with the help of both sons, who ran the business with him along with the rest of his family. Mr. Cottom was a pretty transparent guy and he would often share insight as to some of the struggles that both the golf and ski area were dealing with. Regardless of those early struggles, he would not only find a path through those issues, he was always thinking about ‘what was next’ and what he could do to make the place top-notch. Lenny described his father as a friendly and passionate man who was a good person to talk to and have a beer with. He also shared that his father was an ‘ideas’ man, but that he needed hands-on people to help him run the business and that is where Lenny, Vance and Leonard’s wife, Kasey came in. 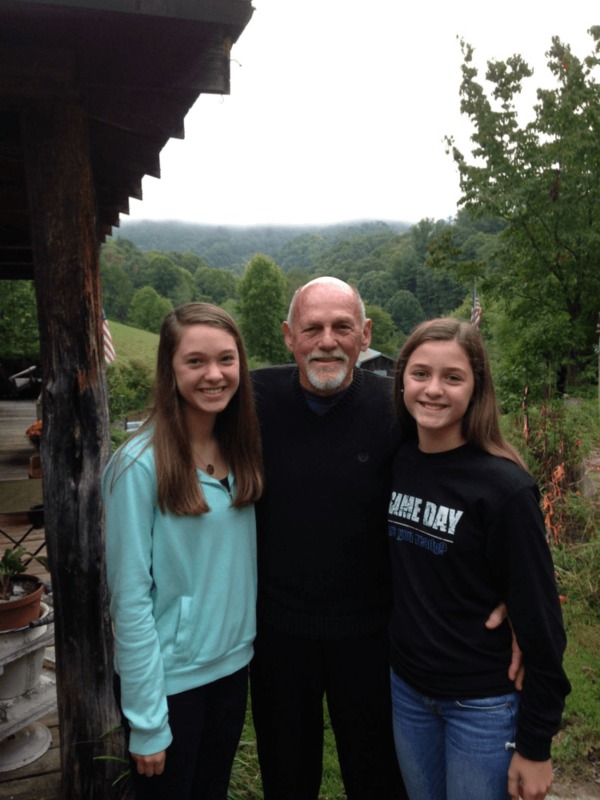 Leonard Cottom Jr. pictured with granddaughters Kaylee and Lauren. Click to Enlarge. Submitted photo. I had a few beers with Mr. Cottom over the years and I can tell you that he was always gracious with his time; he was always a straight-shooter; and he always gave you a smile. Always friendly. I was around during the years where he was at odds with the Town of Seven Devils and when he subsequently decided to close the golf course and ski resort. The business evolved from golf and skiing to snow tubing and zip lining. Leonard is survived by his children Lenny, Vance, Denise and Ryan, as well as five grandchildren. Previous articleNot a Pretty Day Saturday, but Fun, Regardless!